These Calesas are parked here waiting to be hired or for their passengers to return. 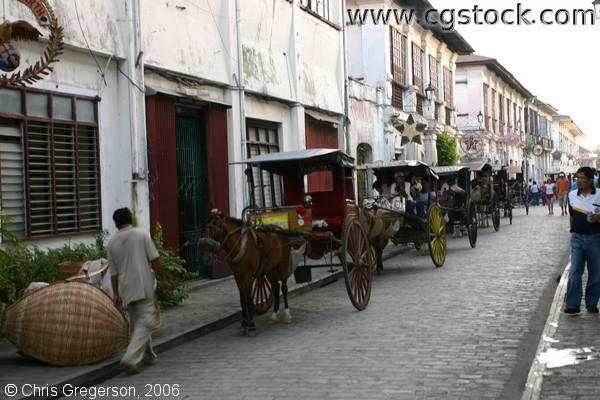 These houses are old styled and reminiscent of the Spanish regime here in the Philippines. The woven thing that is carried by the man at the lower left is actually a baby cradle. The star decorations that you see are Christmas decorations.